Are you one of the 4.2 million voters who supported Amendment 1 in the last election? If so, did you believe a primary purpose of the funding was to finance the purchase of additional natural areas as a way to help protect our water resources, wildlife, rivers, beaches and scenic vistas? The Florida legislature doesn’t believe that is what voters actually had in mind when 75% of them voted for passage of Amendment 1. 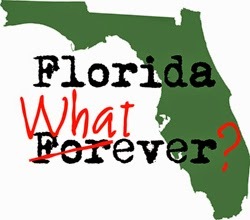 Is there another way to explain why the House and Senate budgets include NOTHING for the purchase of land through the Florida Forever Program? Our will as voters is essentially being preempted by the people we pay to represent us in Tallahassee! Unless you like being slapped in the face, let's stop this disenfranchisement once and for all. In drafting the Senate legislation to restructure trust funds to implement Amendment 1 (SB 584), the termination of the CARL Program Trust Fund within Dept. of Agriculture and Consumer Services (DACS) has created the unintended consequence of eliminating the $250,000 annual transfer from the DEP CARL Trust Fund to the DACS Plant Industry Trust Fund for the Endangered or Threatened Native Flora Conservation Grants program. FNPS lobbyist Sue Mullins met with DACS and DEP officials about the unfortunate by-product of this bill, and will meet with House Budget Chair Albritton to rectify the situation. We originally had $300,000 in our budget line item for the program, of which we expect to restore at least $250,000. 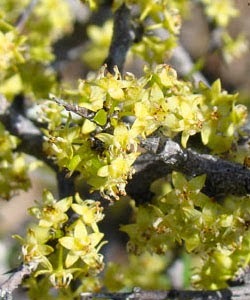 "Invasive exotics that are altering native plant communities by displacing native species, changing community structures or ecological functions, or hybridizing with natives. This definition does not rely on the economic severity or geographic range of the problem, but on the documented ecological damage caused." 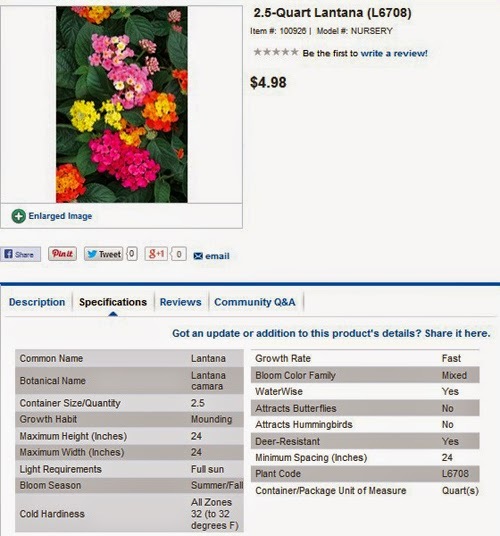 These plants are being marketed as "Flowers for Florida" and sold at many big-box home improvement stores. DO NOT BE FOOLED by this rather deceptive advertising. Although they do GROW in Florida, they are in no way FOR Florida. Lantana montevidensis (left), sometimes referred to as "trailing shrubverbena," is another non-native species. Its flowers are pink or lilac with long (8-20mm) corolla tubes. They were driving me nuts! 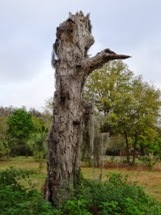 I have a couple dead Pecan trees in my yard and periodically they drop large dead limbs with gobs of moss. It’s been a long time since I have seen a green leaf on either of them. The wood is decayed and crumbly so it’s not difficult to collect the fallen limbs (there are no branches left) but I was dying to chop them down.